". . .an enticing mix of memoir, nature study and the hunting of ghosts. 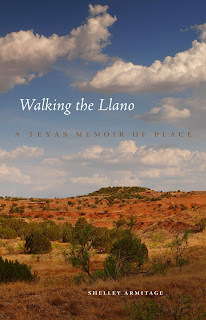 [ Walking The Llano] is a testament to the value of slowing down and watching where you are going." ". . .[Armitage] is an explorer, and from her book we learn much about people who settled [the llano] and those who must now make gutwrenching decisions about modern methods of energy extraction. . .a perfectly balanced memoir." 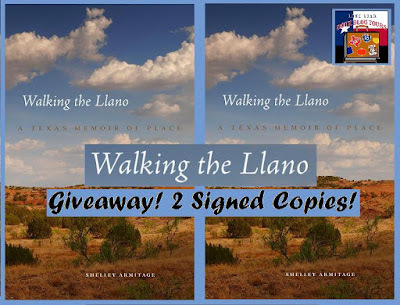 Can you share the backstory of how Walking the Llano came together? This was a kind of recreation, something to do, and an act of caregiving what I’ve called a “Habit of Landscape.” I thought about what the land might look like from various perspectives, including that of travelers from years ago and today. I had always found the Panhandle beautiful, and after consulting a topographic map from the Farm Agency, I discovered that one of the two draws on our place is labeled as the origin of an intermittent creek; the Middle Alamosa Creek. 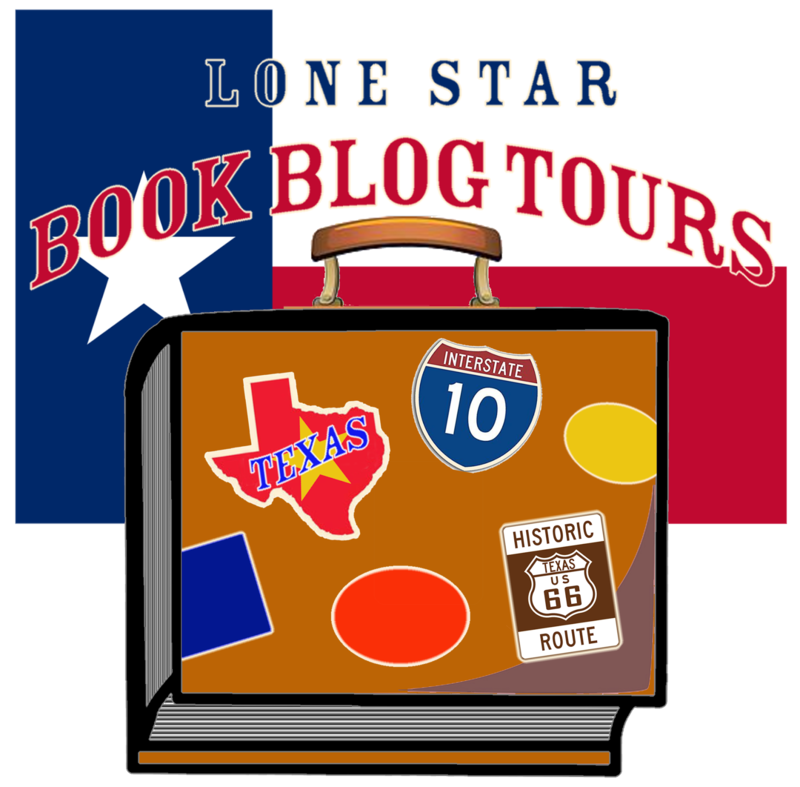 How had being a Texan influenced your writing? I grew up aware that Texans were stereotyped and also my particular area of Texas. So I have a healthy commitment to exploring the voices of underdogs. Texas also gave me a feeling of being a westerner or southwesterner, in love and marked forever by the seeming freedom and beckoning of big skies and far horizons. Where did your love of books, storytelling, reading, and/or writing come from? My mother read to me and I had great aunts from the South who were great storytellers. My mother was a serious reader and shared the love of books. My parents both came from poor families but those families imparted a love of knowledge and learning. My grandfather, in particular, was a bookish man as well as a self-made man. In our house it seemed love of learning and self-reliance and joy in working went hand in hand. My dad would bring home small blank address books from work and as an elementary student I wrote stories in them. What do you like to read in your spare time? I read now on Kindle almost exclusively having run out of space for books!!! I read mostly fiction and some nonfiction, primarily by writers of color or international writers. I’m interested mainly in contemporary work. What kinds of writing do you do? I have been a university professor for forty years (now retired emerita) and thus my publications were research based and academic. But someone wisely told me years ago to write everything possible to be read, that is, stylistically “readable.” So from the earliest academic journal articles (“The Lady as Jock: Popular Culture Perspectives on the Woman Athlete,” l976) to critical biographies, literary memoirs, collections of critical essays and other works, I have tried to write clearly but evocatively, as a gifted essayist like E.B. White or Susan Sontag might. Walking the Llano was my first work of creative nonfiction, and I’ve published poetry. I’d like to answer this somewhat differently. I wish I had started writing creative nonfiction long ago. But my academic career required a certain kind of writing which demanded all my time. At age 14, and even earlier when I was a child, I wanted to “write”—and I think that meant work of both astute witness and imagination. What fascinates you most about writing? Writing reawakens us to what it means to be human­­to our own aliveness­­ as do all art forms. Whenever I write I am amazed and grateful. It’s hard work but mostly a miracle. On the good days you feel like a conduit, part of blessed flow and connection with readers. No matter what readers’ personal take on a book or passage, this is a wonderful experience. How has your education, profession, or background helped you in your writing career? All of my life has added up to this—and was made possible by others’ lives who have touched mine. I think I’ve had the rare experience of being on first name basis with folks in my home town for almost seventy years while also having traveled the world, holding jobs in very diverse places, challenging myself, reaching out. Perhaps in part it’s being adopted. I like and am sustained by my roots, but revel in new connections. My parents were wonderful people, well­ respected and deeply loved. They set high standards but with love written all over them. They encouraged me to follow my dreams and never put constraints on me culturally or because I was a girl; they let by example and taught joy in living, humility, and mutual respect. I hope Walking the Llano reflects this. What are some of the jobs you have held? Have any of them impacted your writing? Yes, my career as a professor has allowed me to enjoy a life of learning. This includes teaching and thus learning from various groups of students and faculty and different places (Hawai’i, the Southwest, New England, the American South, Poland, Portugal, Hungary, Finland, Ethiopia, etc.) as well as the challenge of teaching so many courses I can’t recount them. Because of limits of the curriculum through time, I’ve sought to not only teach to close those gaps, but to research and write and publish articles and books which would as well. What type of work is the most rewarding or satisfying for you? Physical work, including daily exercise. I know vaguely how to drive a tractor and shoot a jump shot. I swim daily. I like to combine such activities with writing and reflection and cultural events. I deeply care about students, and in my forty years of teaching hope that championing them and helping them to build their futures is their legacy to give to others. You’ve had great success already with Walking the Llano. Do you have any other projects / books planned going forward? I have a collection of poems out with publishers for consideration. I am working a collection of short creative nonfiction pieces, kind of like short stories, which are set and have to do with places I have lived and unusual experiences there (places like Eritrea, Finland, Poland). Though I haven’t in years, I am starting to write shorter nonfiction pieces for journals such as Orion. Joel Webster’s uncle disappeared forty years ago without a trace. All he knows about his uncle are the stories his mother has told him. Now his parents are dead and Joel is left alone. 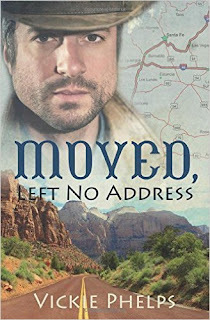 When he finds some old postcards with his uncle’s name on them, he decides to search for him. 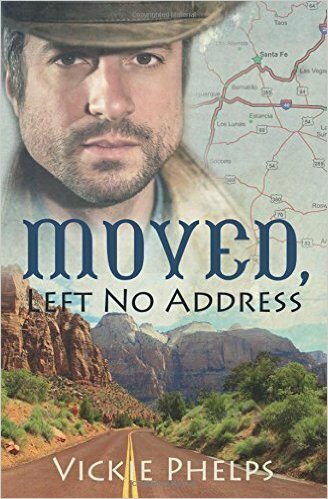 His journey takes him from a small town in Texas to Santa Fe, New Mexico. He encounters danger, death threats, and a beautiful woman he can’t resist as he searches for his long-lost uncle. My uncle, Joel Webster, disappeared without a trace on June 1, 1949. At the time, he lived on the family farm at Silver Creek, Texas, with my parents. I wasn’t around then, but my mom told me stories about him that intrigued me at an early age. Of course, her stories only went as far as the date of his disappearance. But he couldn’t be swayed. They left him sitting on the porch alone, smoking a Viceroy cigarette and blowing smoke rings into the fresh morning air. When they returned later in the day, Uncle Joel was gone. Postmark From the Past, click here! 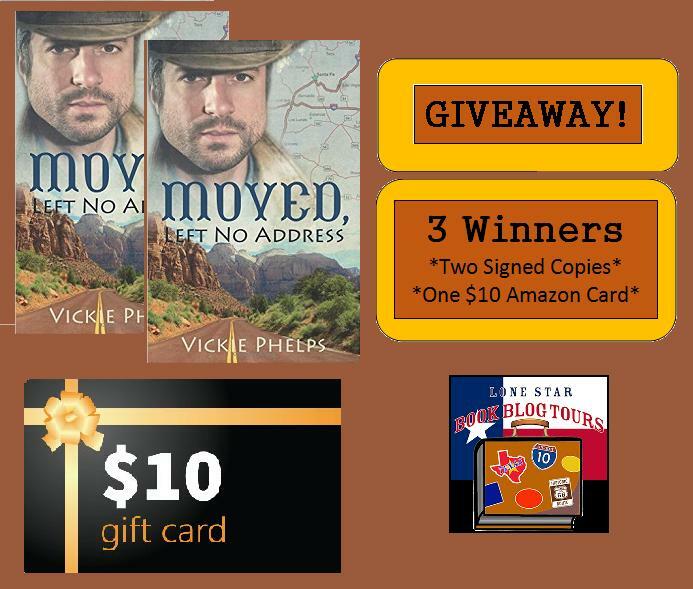 Vickie Phelps writes to encourage, inspire, and influence. 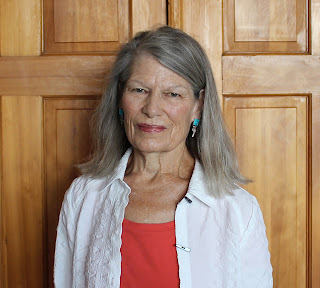 She has published articles, devotionals, and essays in more than fifty magazines and contributed to several anthologies. 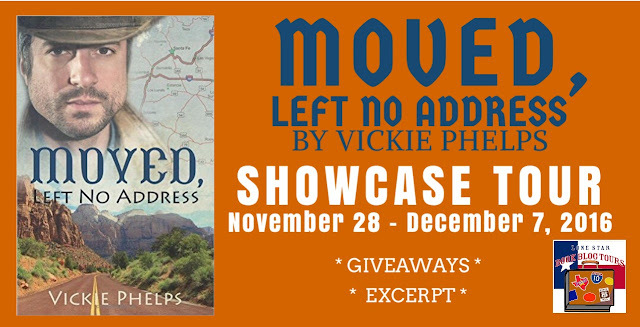 Vickie is the author of the novels, Postmark From the Past and Moved, Left No Address, and a devotional book, Psalms for the Common Man. Vickie is coauthor with Jo Huddleston of the gift book, Simply Christmas, and two books on writing, How to Write for the Christian Marketplace, and Writing 101: A Handbook of Tips & Encouragement for Writers. 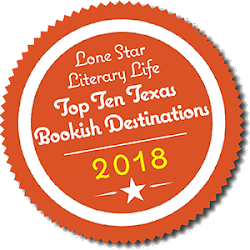 Vickie is the founder and director of the East Texas Christian Writers Group in Longview, Texas and a member of the Northeast Texas Writers Organization. 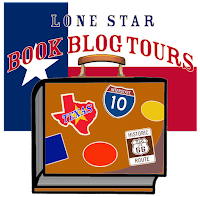 She worked for eighteen years as a bookseller for Barron’s Books, an independent bookstore in Longview, Texas. 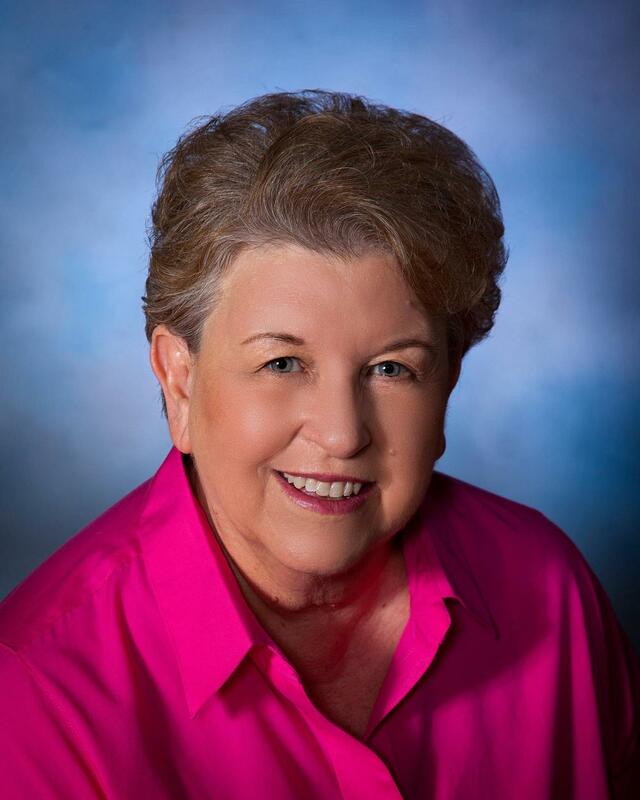 Vickie is a native Texan and lives in Henderson, Texas with her husband, Sonny, and one very spoiled schnauzer.